Many of our cats spend their entire lives indoors. And with good reason, as there are many dangerous aspects to letting cats roam: getting hit by cars; disease; fleas; injuries from wildlife, other cats, and even people; getting lost or stolen; and the danger cats inflict upon native wildlife, to name a few. However, there is a trade-off. Indoor cats, even though they’re safer and generally live longer lives than outdoor cats, don’t get to be, well, cats. 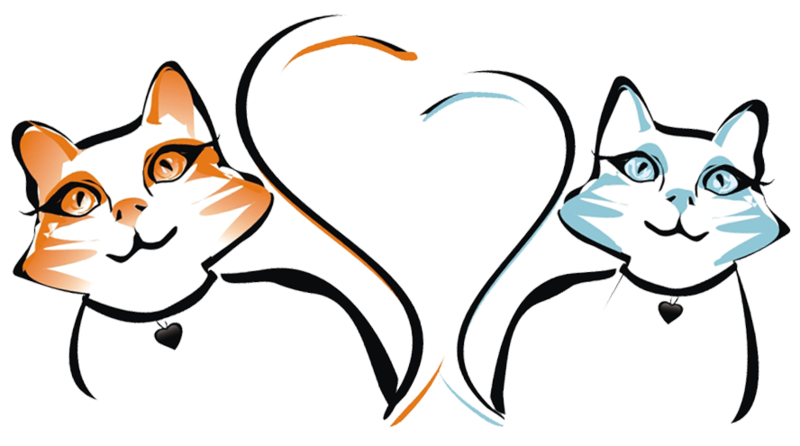 We love cats for what they are, and that’s a result of thousands of years of evolution and development of behaviors that have allowed cats to adapt to their environment and niche as both predators and prey. Cats in the wild (both big and small) hunt, which includes staring, stalking and chasing, pouncing and grabbing, and killing (i.e., the prey sequence); they hide; they climb; they play; and yes, they sleep. They also have social lives that include living with other cats (e.g., lions, or kittens with their mothers, or feral cat colonies), mating, and keeping their territories intact and protected. These social activities are rich with sensory triggers such as smells, sounds, and even tastes (through the flehmen response, which is kind of a taste/scent combination). What it comes down to is this: indoor cats have the potential to miss out on a lot of things that cats evolved to experience. And when indoor cats aren’t given the opportunity to act like cats, they get bored, stressed, and behavior issues can start to crop up. 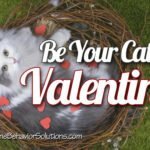 One of the best things you can do for the well-being and happiness of your cat involves regular enrichment, which is defined as “any artificial or natural item that stimulates a pet physically, mentally, or socially.” And one of the best ways to do this is to provide outdoor enrichment for your indoor cat. I think that the culture of having cats is really changing in the United States, and it is shifting towards bringing more and more cats exclusively indoors for the reasons I mentioned above. It wasn’t until fairly recently in American history that cats were viewed as anything other than “working” animals – they were “allowed” to live in barns and on various properties to keep rodents and other pests under control, and in return, they were given some shelter, and the occasional scrap of food. 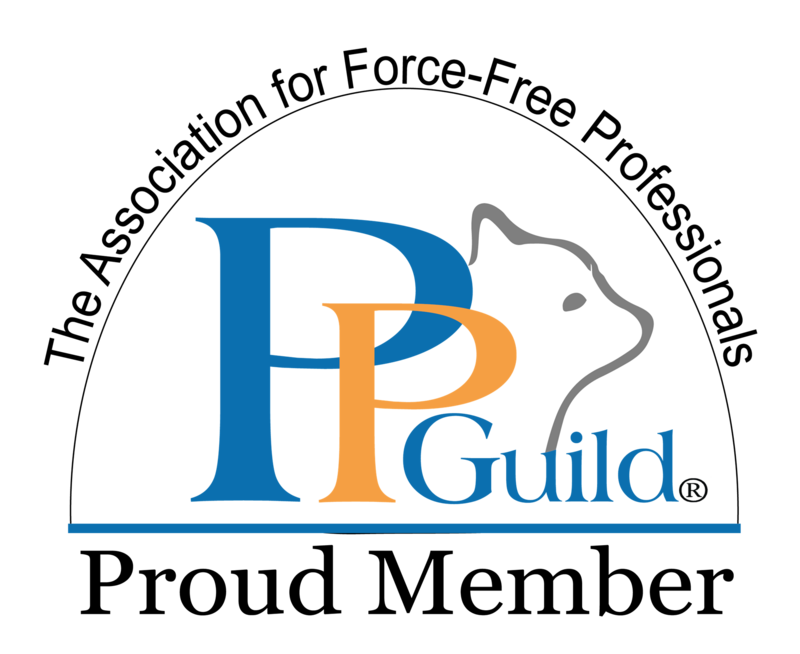 In more recent decades though, cats have snuggled their way into our hearts, and we started to think about them more as pets than “employees”. When I was a kid we had indoor/outdoor cats that would come and go as they pleased. Theresa and Brownnoser would spend most of their days outside hunting, climbing up in the trees, sleeping in the sun, and playing with insects and the like. 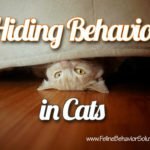 We never had behavior issues with them, and we didn’t even have a litterbox in the house! But even now, it seems that the indoor/outdoor cat is in decline; as urban and suburban areas become more densely populated, people are more frequently opting to keep their cats indoors all the time. It has been my observation that behavior problems with “domestic” cats are also on the rise, and it’s my suspicion that this corresponds to the amount of time that we keep our cats inside. Don’t get me wrong – I’m completely for keeping cats safely indoors, but this requires that we make a commitment to them. 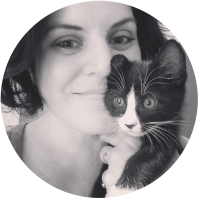 Instead of just pets, many of us now think of our cats as family members. 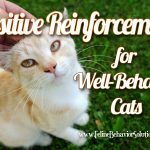 Either way, that commitment needs to include an environment that stimulates and engages cats in a way that keeps them happy and healthy. If you get a cat and expect it to simply sleep all day and cuddle all night without any effort on your part, I hate to say it, but you might want to get a stuffed animal instead of a cat. Otherwise, you’re setting yourself up for disappointment, and placing unrealistic expectations on your kitty. 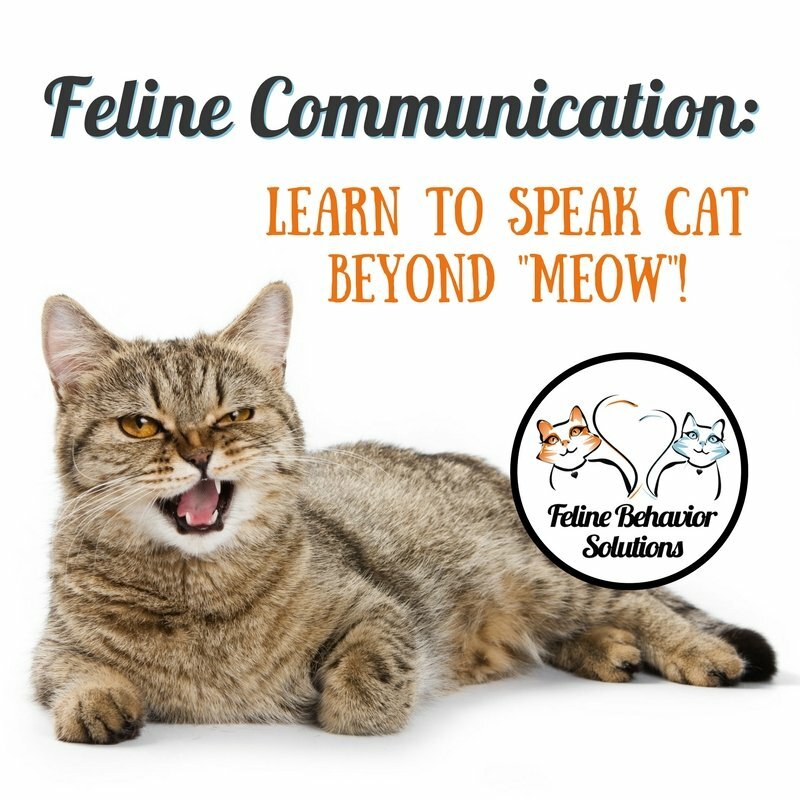 Use the five senses (sight, smell, touch, taste, and hearing) to guide you in bringing novel experiences to your cat. One thing to keep in mind is safety: not everything outside is going to be safe for your cat, so if you are bringing plant material indoors, make sure it is safe for your cat to smell and potentially eat. 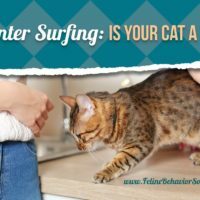 It’s a good idea to keep an eye on your cat any time she is interacting with something new just to make sure that something unexpected doesn’t happen and causes injury. 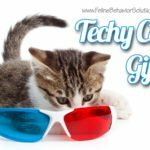 Additionally, you’ll want to rotate or switch out any enrichment items so that they don’t get old and boring; novelty is the spice of life for cats, so make sure they stay on their toes with something new every day. Sight: Place bird and/or squirrel feeders outside of windows where your cat can see them. You can also plant flowers near windows that will attract butterflies and birds. Place perches and beds near windows so that your cat can enjoy the sights from comfort. If this isn’t possible where you live, you can try experimenting with animal DVDs that are made just for cats. Sounds: If you live in a setting where you can hear birds and wind rushing through trees, you can keep windows and doors open if they are properly screened. If the sounds of your neighborhood may be more disruptive (i.e., maybe you live in a downtown area with lots of traffic, etc. ), you can try music and sound-effect CDs that are made for cats. Yes, they exist! A quick google search will yield several options. Scent: Try bringing items from the outdoors inside. These can include leaves, flowers, pine cones, sticks, and even logs that your cat can use as scratchers. You can suspend smaller items from strings for your cat to sniff and bat at (like a mobile), or hide them in boxes or under blankets for your cat to find. Make sure that anything you bring inside hasn’t had pesticides or fertilizer applied to it, and that it’s safe for your cat to potentially eat. Taste: This is closely related to scent, but you can grow things either indoors or out that your cat will enjoy. Fresh catnip and cat grass are always a hit with kitties, but you can also grow other cat-friendly herbs and flowers nearly any time of year. 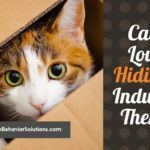 Another thing to consider is hiding your cat’s food or treats throughout her living space; in the wild, cats have to work for their food, and they can hunt up to 20 times per day. They stick their paws into tiny spaces to extract prey, and explore their area to find food. Food puzzles are a fun way to make your cat work for her food, or provide a surprise treat if she happens upon it during her daily territory patrol. Touch: Again this can be related to the scent category if you are bringing in things from the outdoors for your kitty to play with. But this may also include things for your cat to climb on or hide in. 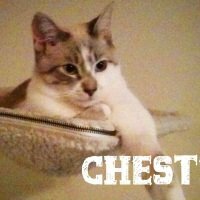 Please do get a cat tree (or two) to place near windows, or use shelves so that your cat can explore the room from a different perspective. Even simply moving a cat tree that has been in the same location for a while can create novelty with an old item! You can also provide boxes, set up blanket tents, and covered cat beds for your cats to lounge in. Move these things around occasionally, even to high perching areas. And don’t forget to place fun objects (treats, cat grass, toys, outdoor objects) on shelves or perches that your cat will come across occasionally! Finally, try to use realistic toys, especially when using an interactive wand to play with your cat and take her through the prey sequence. Use toys that resemble prey items like mice, birds, insects, and snakes, and move the toys as those prey would behave. This will provide a more fulfilling, active play session and keep your cat’s predatory skills honed. Your cat doesn’t have to stay indoors all the time. Some cats enjoy exploring the outdoors while wearing a harness that is attached to a leash. Training your cat from a young age to enjoy the rewards of wearing a harness is the easiest way to go about this, but mature cats can be taught to wear harnesses too. 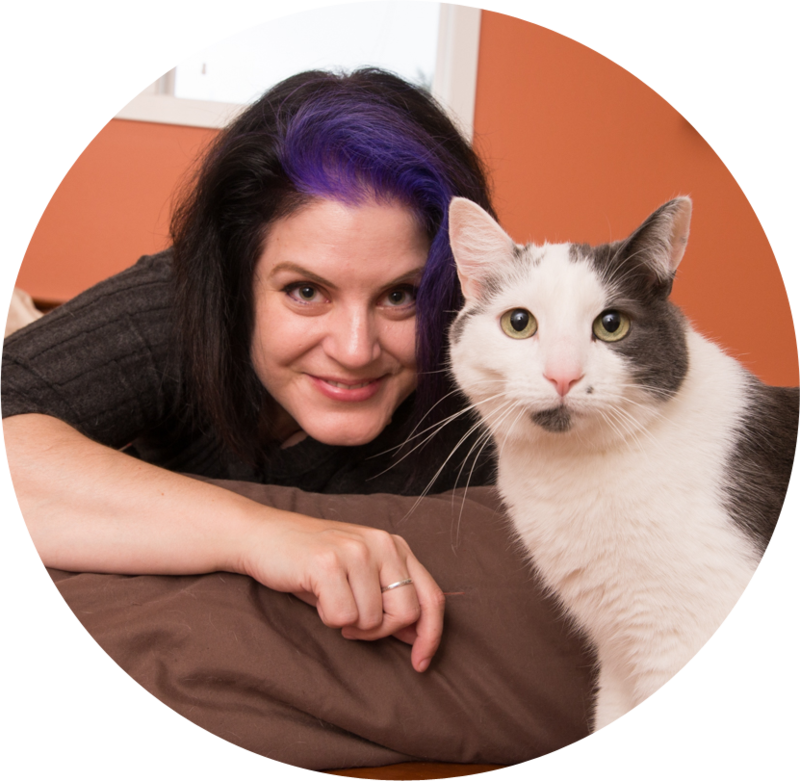 Just take everything slowly, step by step, and reward your cat for each step in the process! 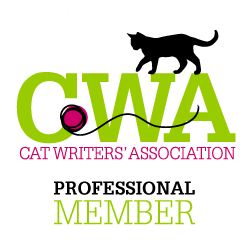 The Adventure Cats website has an excellent article about training your cat how to use a harness and leash. Keep in mind that if you choose to do this, you’ll want to make sure that your cat has current identification and vaccinations, and is treated for fleas. 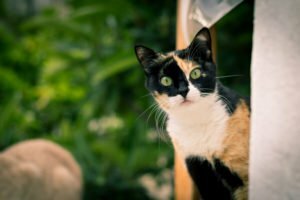 Finally, if you have the space, you can provide your cat with an enclosed outdoor space, or a catio, to enjoy all the sights, smells, and sounds of nature from a safe place. Cat fences can prevent cats from leaving your yard, or you can have an enclosed catio of nearly any size. In fact, you can even build a catio window-box if your yard space is really constrained! Catios and enclosures come in all sorts of shapes and sizes, and can be built on nearly any type of budget. 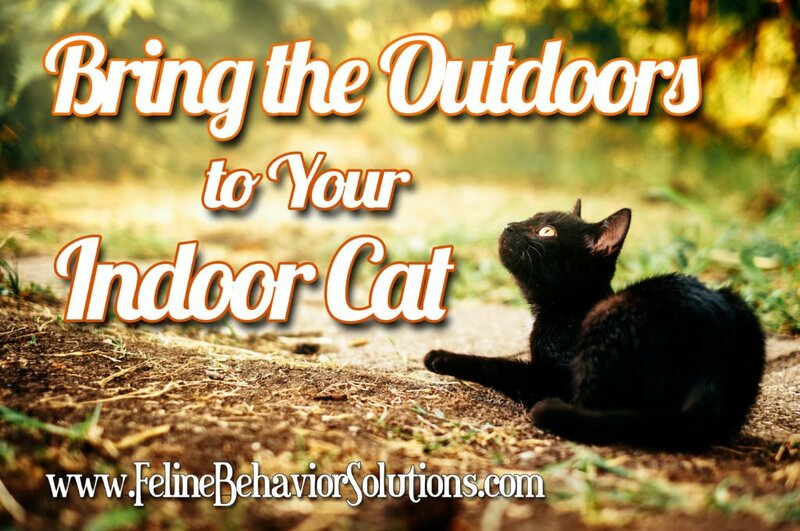 There are plenty of resources online, and you can start by reading my article “Outdoor Catios for Enrichment and Entertainment“. Your cat definitely wants one, and you can probably accommodate her wish one way or another! 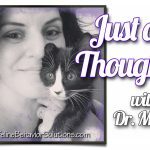 I hope I’ve given you a few ideas to get your wheels spinning when it comes to giving your cat opportunities to be the cat she was born to be. 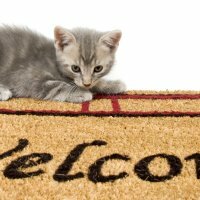 Enrichment for your indoor cat should be kept new and fresh, and all you have to do is try to put yourself in your cat’s paws to come up with new ideas. She will thank you for your efforts by being a happy, content companion! The Best Cat Blogs…For Your Reading Pleasure!Food Puzzles for Cats – Good for Mind and Body!